The AK47 Chest Rig by Beez Combat Systems offers a lower profile design than the majority of other chest rigs available on the market. 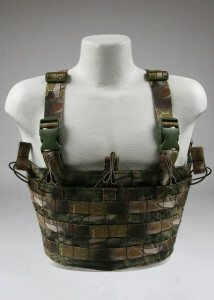 The AK47 Chest Rig by Beez Combat Systems also features a unique pull forward lat strap design making their chest rig one of the easiest to adjust to both hot and cold weather clothing while maintaining comfort. Not to mention Beez Combat Systems also offers an upgraded harness for additional padded comfort exclusively for their chest rigs at an affordable cost. 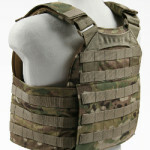 We have designed a new Spartan Armor Systems Plate Carrier Cumber. 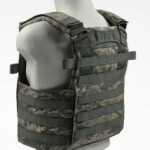 The shoulder webbing on the front and back carrier is on the outside. We have added two pieces of vertical webbing to support QASM buckles. The front cumber flap has a kangaroo pouch that supports to magazines. The front flap also has three rows of velcro loop over the webbing to support our TLMP or Haley D3 type rigs. 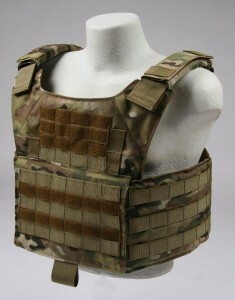 The Spartan Armor Systems AR500 Plate Carrier Cumber has a fully adjustable cumberbun. 8″ or 10″ Shoulder pads with hydration/cable routing is an option. We do recommend shoulder pads when running steel plates. 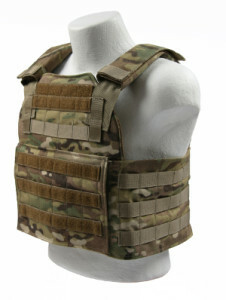 We like the 10″ shoulder pads on this carrier. 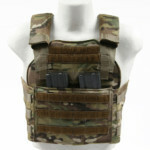 PC pads are still available with this plate carrier. The Spartan Armor Systems AR500 Plate Carrier Cumber is available in : Multicam, A-TACS AU, A-TACS FG, Kryptek Highlander, Kryptek Mandrake, Kryptek Typhon, Coyote, Khaki, Ranger Green, OD, Wolf Grey,Woodland and Black. 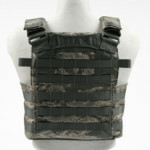 We designed the Bellator Plate Carrier to support Infidel Body Armor’s AR500 Steel plates. 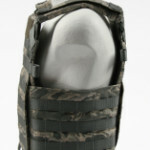 Check out Infidel for AR500 Body Armor. Level IIIa Stops: .44 Magnum, 9mm FMJ, 7.62×25, 5.7×28, .50AE and other specialty pistol rounds and provide up to 40% blunt trauma reduction. Knife resistant to both stabs and slices. Besides being light (under 1 lbs), these inserts are soft and comfortable and just over 1/4″ thick. They are made of Kevlar KM2 and Goldflex II for really good stopping power for fragments and point blank shots and are thinner and lighter than standard Kevlar. Level III Stops: 5.56 (M855, M193); 7.62×39 (Ball), 7.62x54R (LPS), 7.62×51 (Ball); 30-06 (JHP, FMJ); .357 mag; .45 cal; 50 cal Beowulf; 9mm; 12 Gauge Shotgun slugs, and more. All of these rounds were fired from semi-auto AR-15s, AK-47s, MAK-90s, bolt action Rifles, Glocks, Revolvers, and pump shotguns. This is a level III+ plate as tested by HP White, a certified NIJ Laboratory.Complies with MIL-46100 Rev E. for class 1 armor and passed the test against a 30 Caliber Armor Piercing bullet at 2426 fps as tested at the US Army Aberdeen Test Center. Weight for 10×12 single curve with 1/4″ polyurea anti-frag coating is 9lbs. Level IV Stops: Everything Level III stops PLUS Armor Piercing, including: 5.56 (M193, M855, SS109); 7.62×39 (Ball,Steel Core/Armor Piercing Incendary (API)), 7.62×51 (Ball), 7.62x54R (L/LPS/B-32 (API)), 7.62 x 63 (JSP/AP M2) plus all pistol rounds and lesser rifle rounds. All fired from M-1, SVD Dragunov, FN FAL, AK-47, AR-15. Weight for 10×12 single curve is 7.72lbs. Side plates are available in Level III & IV. Price for side plates includes the required side plate utility pouches. *The Bellator does not accept: BALCS or Multi-Curve or SAPI/ESAPI armor. 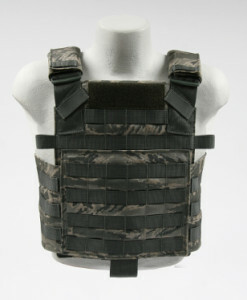 The ABU plate carrier cumber was designed for the U.S. Air Force Security Forces. 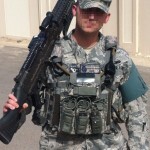 The plate carrier allows the Security Force Specialist to adapt to any situation while performing their job to protect the people and property of the U.S Air Force. 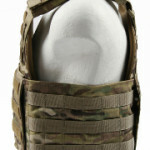 The ABU plate carrier cumber has plenty of molle real estate. 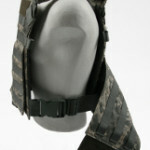 Fully adjustable shoulders insure a perfect fit for any size Airmen. 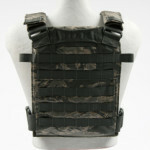 The front and rear carrier include a hydration/comms routing webbing. 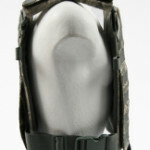 The shoulder pads provide additional comfort and include routing webbing. If needed, the shoulder pads can be removed for lower profile operation. The rear of the carrier has a reinforced drag handle. The cummerbund is fully adjustable with elastic bungee. 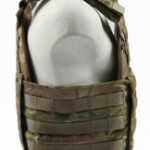 The ABU plate carrier cumber can be ran with or without the cummerbund. Once the cummerbund is removed the two 2″ side release buckles secure the PC in place. 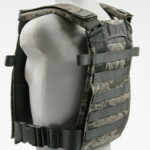 This feature allows the Security Force Specialist to change load outs and adjust to environmental conditions with one plate carrier. When ordering make sure to verify the size of plates to guarantee the correct size of plate carrier. 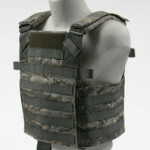 We do recommend 8″ shoulder pads with this PC for all sizes. The ABU PC has been field tested by Air Force Security forces and currently being used by Airmen around the globe.